These are small, black and yellow/white wasp-like bee species. The resemblance to wasps is enhanced by the absence of ventral abdominal hairs used to collect pollen, a feature typical among bees. Hylaeus often have the clypeus (plate above the labium) yellow to which it owes its name masked bee. 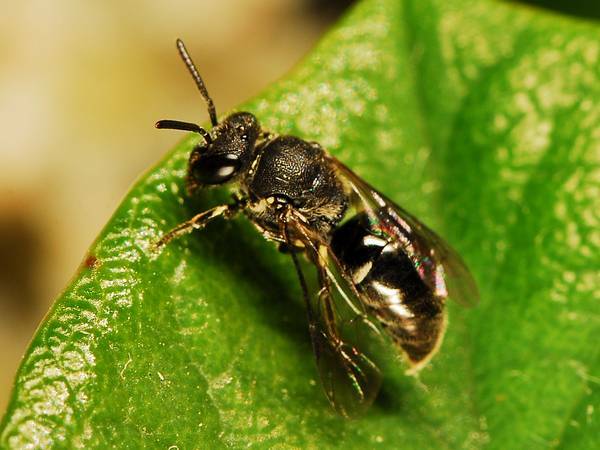 Like most colletids, the liquid provisions are sealed inside a membranous cellophane-like cell lining; nests are typically in dead twigs or plant stems, or other similarly small natural cavities, rather than constructing or excavating their own nests as in many other bees.